For many developers, App Cloud is a one-stop shop for all their application needs. It's got a robust SDK and a sweet suite of runtime cloud services like image transcoding, data feed optimization, and cross-platform push notifications. But no platform can do everything. While App Cloud is primarily concerned with delivering content to apps, services like Kinvey can help you manage the river of data that users might generate from inside those apps. Together, App Cloud and Kinvey are a one-two punch for making high-performing, cross-platform apps backed by powerful content and data services. 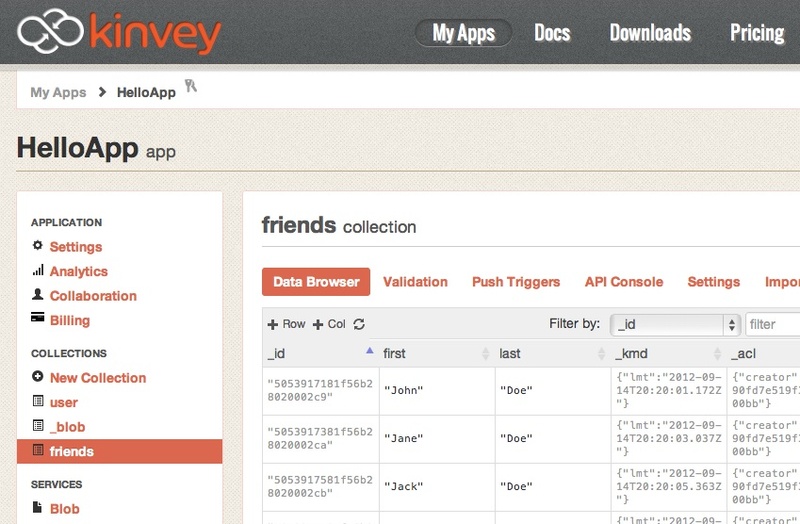 To make it easy for developers to get started with both platforms, App Cloud and Kinvey collaborated on a simple demo app that shows how to create users and store user data in the cloud.